In 1868 John Dempster went into partnership with Alexander Elder, the brother of the eminent Glasgow shipbuilder, John, to act as Liverpool agents of the British and African Steam Navigation Company of Glasgow. The company’s vessels were constructed in John Elder’s Fairfield Yard, in Glasgow. The British and African and the older African Steam Ship Company, both with headquarters in Liverpool, prospered and came to an arrangement to divide sailings. 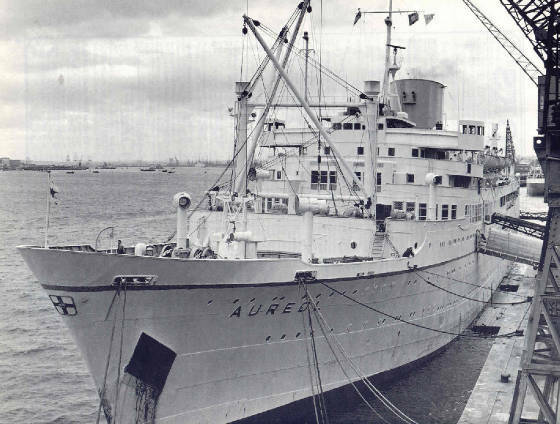 In 1875 Alfred Lewis Jones set up a shipping and insurance broking office in Liverpool under the name, Alfred L. Jones & Co., and with some small chartered sailing vessels, began trading with West Africa. By 1879 Jones, whose competition was feared, became a junior partner in Elder Dempster and by 1890 he had bought a controlling interest in the African Steam Ship Company. Alfred Jones was the first merchant to import bananas to England in 1884. From 1890 he expanded his business with new transatlantic sailings, the purchase of the Beaver Line in 1898 (re-sold 1903), supplying transport for the Boer War, setting up the Imperial Direct Line from Avonmouth to Jamaica, and taking over the British and African Steam Ship Navigation Company in 1900. On his death in 1909, Elder Dempster and its 109 ships, were bought by Sir Owen Philipp’s Royal Mail Group. Three new owners faced considerable competition in the West African trade, notably from Lever Brothers and John Holt & Company. The firm also suffered the loss of forty-two vessels in the First World War and post-war trading to West Africa remained competitive and problematic, especially in the relationship with the United Africa Company. The overall position of the Royal Mail Group deteriorated rapidly after 1929, leading to collapse in 1932. 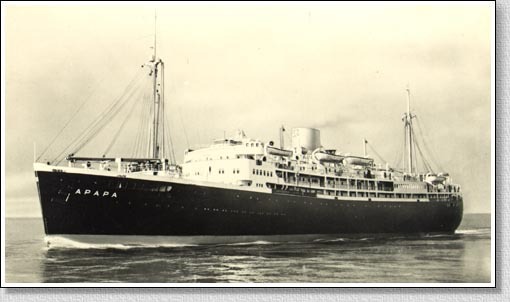 (LEFT PHOTOS: Aboard the Elder Demster Line’s MV APAPA in 1950 from West Africa to Liverpool. 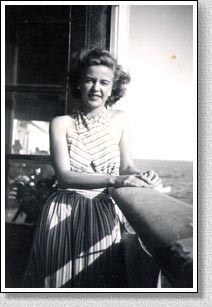 The sailing is vividly described in Joan Beech’s (seen aboard the MV APAPA) memoir Follow the Red Dirt Road. Click here to read the chapter and take a look at this fascination book on West Africa. A new Elder Dempster Line was reconstructed under the management of the Ocean Steam Ship Company Limited. Recovery was cut short by the Second World War, in which forty-one ships were sunk. 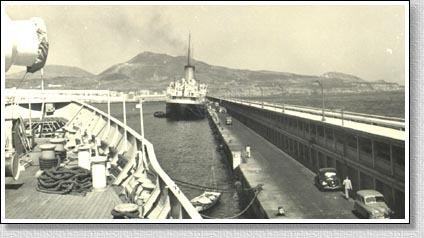 After the War, trade increased, the fleet was modernized and other lines were acquired, including the Henderson Line in 1935, Guinea Gulf in 1965 and Palm Line in 1953. 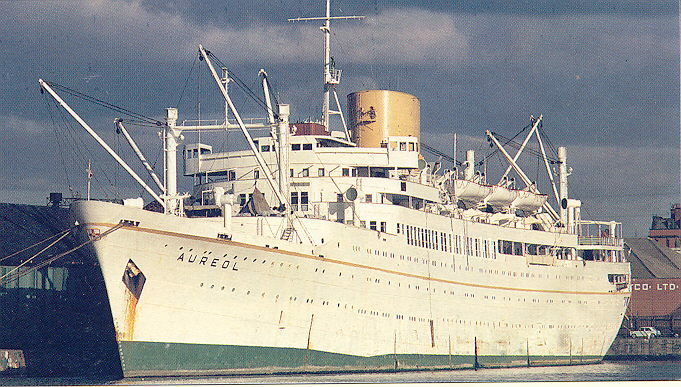 In 1965 Liner Holdings Company which held the Elder Dempster vessels, was incorporated into Ocean, hence the inclusion of its records within the Ocean Archives. Trade to West Africa became increasingly difficult for many reasons, including the rise of national shipping companies and the political situation. 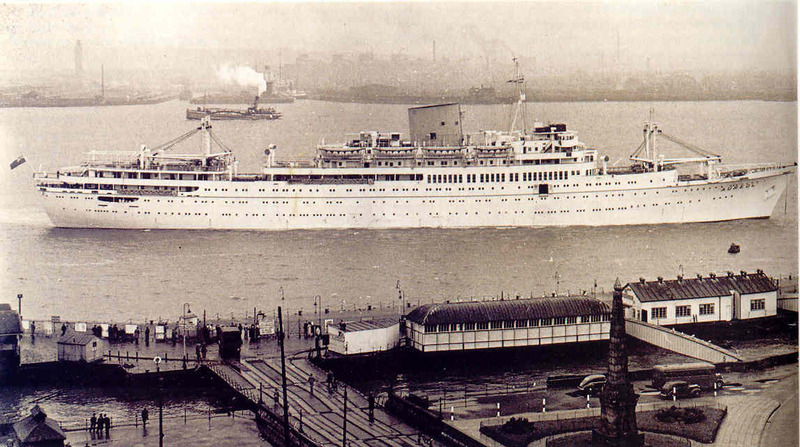 By 1989 Elder Dempster sold its ships and was itself sold by Ocean Transport and Trading. For more information go to a website featuring all kinds of information on Elder Dempster Line by clicking here.